A babysitter from hell is all I can say to describe this character. Every time I felt that she couldn't go lower than the previous act, she showed me that there was still another layer of gruesomeness about her. Melissa and Mark's neighbor Jade's house goes up in flames, and as a kind act they invite the neighbor into their home and make her their babysitter. But acts of kindness never go unpunished, thus starts the wicked ways of the babysitter. She wants Mark to herself for reasons known only to her and which is revealed at the end. She does everything to poison the married life of Melissa and Mark, careers are destroyed, children are slowly weaned away from the mother. The poison apple is always rotten to the core and soon spreads its vile stuff. 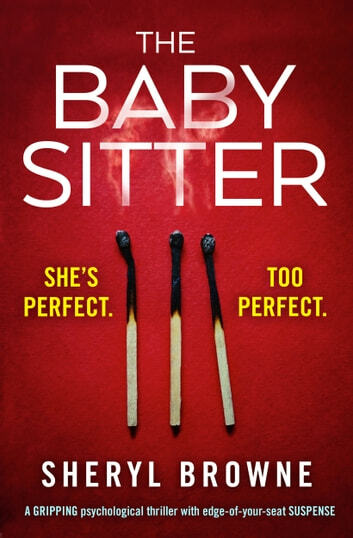 We are told, in the second chapter itself that the babysitter wants Mark, the acts start from the beginning, go on till the end where the finale reveals the reasons. My first book by Sheryl Browne, and the story starts with a bang, with nary a pause. The acts pile up on one another. The husband and wife fight, yet do not take a step back to think about the reasons of this drastic change. Oh yes, I forgot to tell you guys, the husband Mark is a Police Detective. Ahem ahem.... Yet he couldn't see the clues. This couple allowed a stranger to take care of their daughters without a background check or asking for references. The wife Melissa, is tired all the time, fatigued and in a foggy state; she does go to the doctor. A diagnosis of depression and mental illness is made based on past history, no blood tests are done. Isn't that the first thing the docs order to rule out over-medication? But here Melissa is given more medicines... Wellll!! 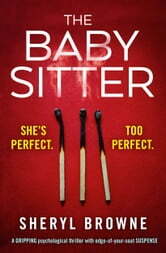 The babysitter is a quick read to read, if you like reading about how low and how obsessed people can get. It is fast paced and written to shock the readers, pets are also harmed, till the husband Mark gets it. The blurb does say the husband suspects, he does... only at the end when 3/4th of the book is done. Omg don't ever hire a live in babysitter. Couldn't put this down as I needed to know what Jade was up to next. Gripping from beginning to end. More complete in characterdevelopment in comparison with the moviie Dangerous Liasons. This story should be filmed. Amazing detailed plot.